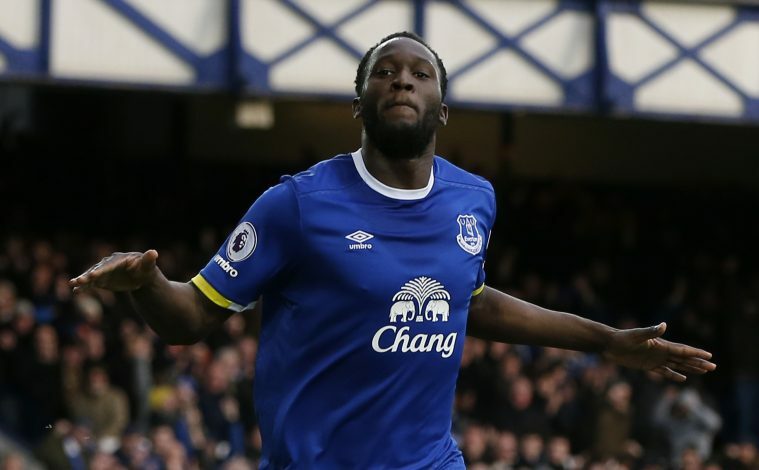 The Men’s PFA Premier League Player of the Year nominees have recently been announced, and to nobody’s surprise, it is filled with forwards and goal getters. In this elite 6 man list, there are players from 5 teams included, with two of the players coming from the same club. The Belgian forward is the only name on the list to have won the award before for an unbelievable 2014/15 season, which saw him deliver magical performances while leading Chelsea to the League title. 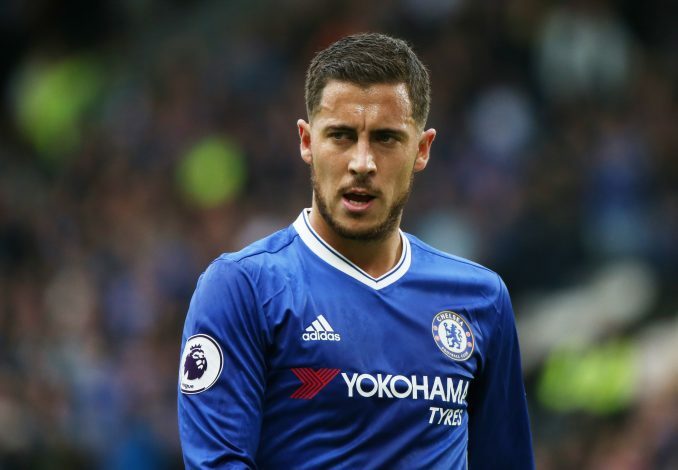 After having gone away from the limelight in the previous season, Hazard has rediscovered his form and abilities under manager Antonio Conte, and is currently guiding the London club to another league title, and this time without anybody even threatening to stop them. The player currently is on an impressive tally of 14 league goals this season so far, and to add to those numbers, he has also already provided handy assists in the goals of his teammates a stunning 5 times. However, it is not only the assists and goals that has brought him on the list, it is the direct approach and willingness to dribble past players, to get into positions to cause danger in the other half, link up play with fellow creative minded players like Pedro and Costa, and delivering in matches that matter the most especially against the big boys. A player who arrived with his fair share of haters and doubters has gone ahead and turned them into his fans, and proved them wrong with utmost ease through stellar performances in almost every appearance so far. The big Swede is Mourinho’s favourite in the team, and he has not failed to repay the manager by becoming a team leader on and off the pitch, and providing a driving force to drag along an entire club and not stop from reaching the targets they desire. 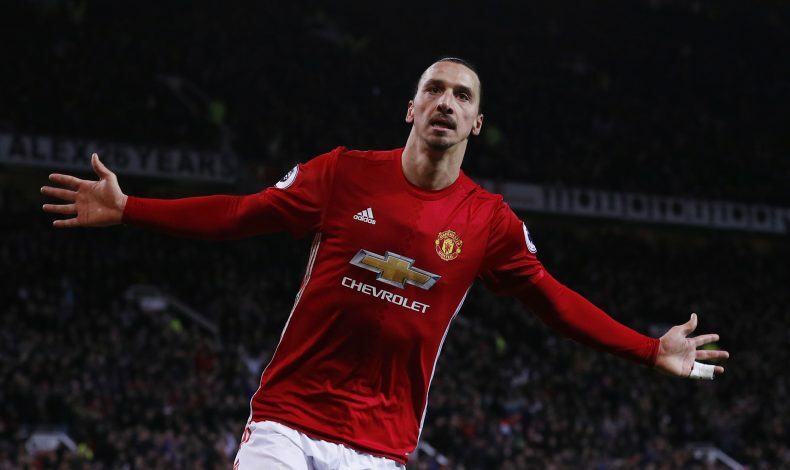 Zlatan has helped himself to a mammoth 17 goals so far this season in the league, becoming a contender for the golden boot, and has also pitched in with 5 assists in the competition so far. With a total of 28 goals in all competitions, Zlatan has been a deadly threat for any opposition he has come up against, and his brilliant telepathic connection with Paul Pogba has slowly started turning United into a club to be feared yet again. Despite his age, Ibra is one of the fittest players in the league, and his presence in the opposition box, accompanied by his goal getting skills from both long range and tap ins, is what has got him into this list. As said by himself, his case is as curious as that of Benjamin Button, where he’s born old and will die young. The only Englishman on the list, Harry Kane has put in sweat, determination, and hard work to bring out performances and moments of brilliance that has propelled him straight into the nomination category, with a strong chance of taking the prize home. Spurs are currently second in the league, and are arguably the only team playing football close to standards of that put up by Chelsea this season. 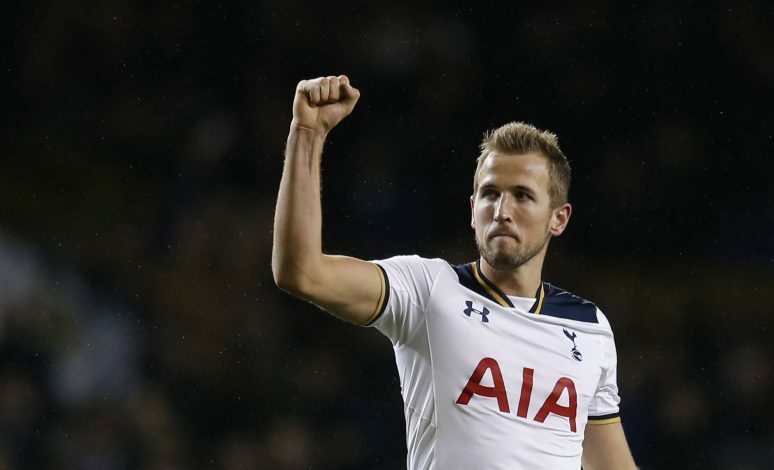 Major credit for that, however, goes to forward Harry Kane, who since the departure of Gareth Bale, has been a breath of fresh air to the club, and has handled a boat that was on the verge of sinking quick and fast. The striker is the first choice in the team day in day out, and with 19 goals and 4 assists in the Premier League, it isn’t hard to wonder why he is Pochettino’s favourite asset, and a target for big clubs around the world of football. Tottenham finally seem to be on the track of finishing above Arsenal in the league this year, and their fans know who the hero behind this feat is, while he continues to be one of the best in the world at the moment. 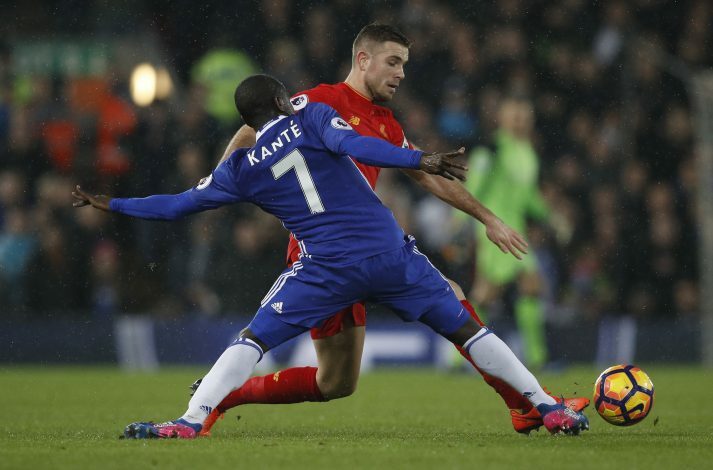 The next Makelele is a tag heavy enough to carry, but N’Golo Kante does so with ease, along with the regular all game interceptions and keeping the opposition players in his pockets throughout 90 minutes in almost every match he steps out on the pitch for. Probably the Player of the Season in many eyes last time around, the mini French midfielder burst onto the scenes with Leicester after impressing one and all with his passing abilities, game reading and intercepting skills, willingness to die to win every ball, and cover every blade of grass possible. These attributes helped him guide Leicester City to a remarkable title winning campaign, which saw him make a big money move to Chelsea to become a star under new manager Antonio Conte. With the boss Italian by nature, Kante fit well into his defensive side of plans, and has continued to work his magic as he prepares for two titles in two years, but this time with the London club of course. The midfielder is third on the list of most passes this season, has started almost every single match Chelsea have played so far, has got a goal to his name, and that too against Manchester United, along with 49 interceptions and a jaw dropping 94 tackles so far. One can understand why Kante deserves to be on this nominee list, and maybe clinch the award this time around, and beat his Chelsea teammate Hazard in doing so. The Big Belgian might be on the way out of Everton this summer after reportedly denying a new contract extension, but he might leave with an individual honour in his hand if he continues doing what he has so far right up till the end of the season. Currently leading the goalscoring charts in the league with a tally of 23, and being followed by names like Kane, Ibrahimovic, and Sanchez, it is evident how good the forward really is, and how his eye for the back of the net is an ability any club would be blessed to have. The player has 64% shots on target so far, and averages an impressive 119 minutes per goal up until this point domestically. With an additional 6 assists besides all of that, the striker continues to use his head and both feet brilliantly to keep Everton climbing up the table and maintaining a fight to play European football next season onwards. 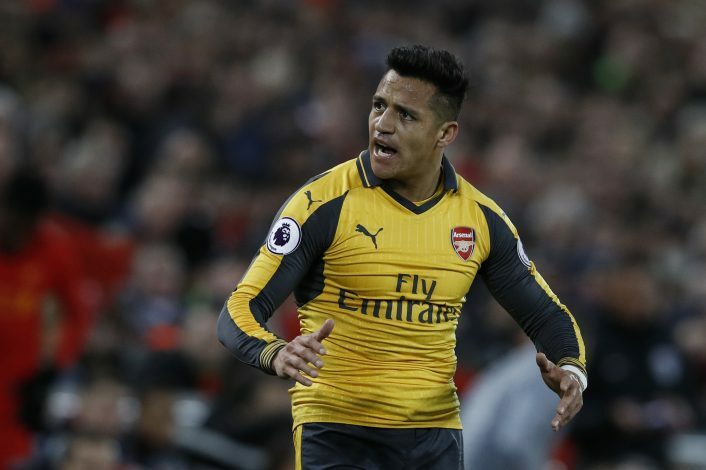 Probably the only reason to bring a smile on Arsenal fans’ faces this season and their saving grace, the Chilean has delivered to his utmost fullest potential in order to prevent the club from heading in the wrong direction, and deserves to be a part of this list for his efforts alone. Arsenal are currently in 6th spot and lagging behind in the top 4 race, and with Wenger protests on in full power, Sanchez has quietly being going about his business and helping the club from further falling into greater unwanted dark depths. His link up play with Ozil has been phenomenal throughout, and his pace and directness at the opposition has seen him get 9 assists in the league while being third in the goal scoring charts with a tally of 18, only behind Kane and Lukaku. His future seems to be uncertain at the club, and the poor form they are in could certainly, and might already have damaged his chances of winning this individual honour. The current defending PFA Player of the Year is Riyad Mahrez for his outstanding contribution last year with Leicester City, and who will take that crown and place it in their cabinet for the next year is soon to be seen.